Abstract: Objective: The aim of the present study was to investigate the possibility to predict the histopathological features of breast and metastatic lymph nodes and survey and prognosis of patients and likelihood of being a predictive factor for treatment by using Ki67 immunohistochemical stain. 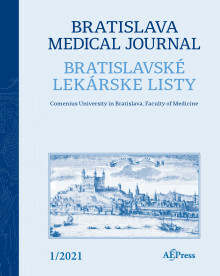 Materials and methods: 95 patients who were admitted to Uludag University Medical Faculty, Department of General Surgery with a diagnosis of stage II–III breast cancer between dates May 1997 and December 2002 were retrospectively evaluated with respect to breast cancer related prognostic factors treatments and last-control related data. Ki67 immunohistochemical staining was performed to appropriate specimens using Streptavidin-biotin technique. Ki67 was reported as the proliferation index, and the number of stained nuclei were stated to be / 1000. Results: In the evaluation of the lymph node by univariate analysis, we ascertained that duration of survival is shorter above the 227 cut-off value for Ki67 proliferative index. Length of survival of patients with tumor Ki67 proliferative index below 141 and with no distant metastasis was established to be better. Ki67 proliferative index in the lymph node was detected to increase more with increasing histological and nuclear grade, estrogen and progesterone receptor negativity and at stage III. Conclusion: Since numerous factors are effective on breast cancer, each patient and tumor behaves differently. A lot of prognostic factors are taken into account while treatment choice is determined. We may have information on the biological behavior of the tumor in patients who underwent sentinel lymph node biopsy or axillary dissection in staining with Ki67 pattern (Tab. 5, Fig. 3, Ref. 13). Keywords: breast cancer, prognostic factor, Ki67.